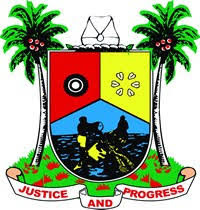 The State Governor, Mr. Akinwunmi Ambode in a statement signed by the Secretary to the State Government, Mr. Tunji Bello said the significance of June 12, 1993 elections, adjudged as the freest and fairest in the history of Nigeria, would always be a reference point in the State's quest to entrench true democracy in service to the people. Commending President Buhari's recent declaration of June as the new Democracy Day, the Governor said the singular act would forever ensure that Chief MKO Abiola and other martyrs of democracy who laid down their lives in the struggle to entrench good governance did not do so vain. "On behalf of all Lagosians, we want to commend and applaud Mr President, Muhammadu Buhari for deeming it fit finally against all odds from all other past presidents that 25 years after, we are able to now celebrate our own Democracy Day and also declare that the real winner of 1993 June 12 Presidential election was actually our own MKO Abiola. "No matter how long you try to hide history, history will always reveal itself with a true platform. So, we know that is one very important singular step as we go forward to build an enduring democracy. And for all democrats in this country, we are excited that we are moving in the right direction. "It also affirms that Nigeria can get it right if we begin to put things in the right perspective and work for the general good of the greater number of people. That is the true essence of democracy. "For us in Lagos, June 12 is not just a day to remember, it is a rallying point for those of us in service that we must continuously strive to entrench true democracy and good governance which is what Chief MKO Abiola totally exemplified," Governor Ambode said.